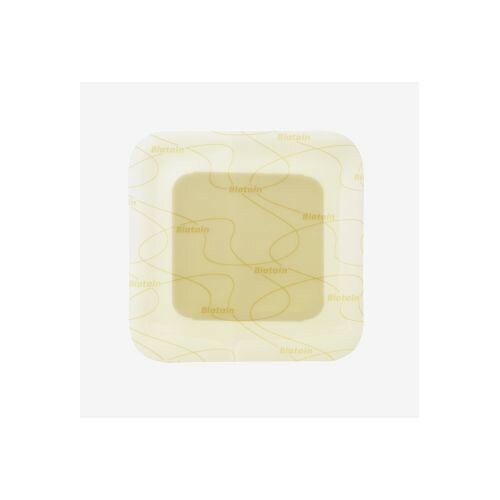 The Biatain® Adhesive Foam Dressing 3488 by Coloplast measures at 7.5 x 8 inches specifically designed to care for an exuding wound on the heel. 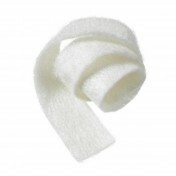 The polymer foam dressing has a high exudate capacity for a healthy wound environment. 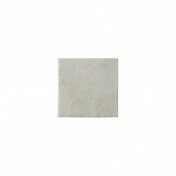 This prevents leakage and skin maceration for optimal healing. The polyurethane foam is soft and flexible and the unique three-dimensional shape conforms to the heel without sticking. 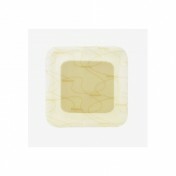 It's also bordered with a non-irritating hydrocolloid adhesive for gentle and secure adhesion. The Biatain Adhesive Foam Dressing for the heel is sterile for fast and easy application without worry of cross contamination. The dressings come five in a box but can be purchased individually. The foam dressing can remain on the heel for up to seven days depending on the amount of exudate. You may be interested in wound cleansing products to prepare the heel prior to application such as CURAD Sterile Saline Wound Wash. 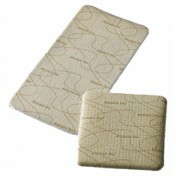 When needing additional dressing sizes, view the Biatain Adhesive Foam Dressing family starting with size 4 x 4 inches.